This statement was the title of a TIME article, which was included in the magazine’s special report on “The Drone Age”. We asked Christian Bettstetter to tell us what today’s drones can do and what drone (swarms) are not yet capable of. One thing is certain: Our airspace is going to be much busier in the future. Mr Bettstetter, would you board an autonomous flying taxi drone in Dubai? (without hesitation) Yes, I would. I trust this technology. Anyway, nowadays it is already the case that most airplanes switch to autonomous flying mode once they are in the air. For ten years, scientists have been conducting drone research at Alpen-Adria-Universität. You have been here slightly longer, since 2005. What were drones unable to do then, which they can manage now? The quadcopters we use are much cheaper today. The price is now barely a tenth of the price ten years ago. There has also been a significant increase in software functionality. It is, more or less, possible to purchase a drone from an electronics store, which is automatically capable of flying across a certain area. When we started, drones were specifically designed for a niche market and for research purposes; today, pretty much anyone can own a drone. Does it seem sensible to you that private individuals can own drones? To be honest, I am not sure that it does make complete sense. One negative example are the selfie-drones that are threatening to buzz over the heads of tourists everywhere. Having said that, in the past I have sometimes misjudged these kinds of predictions: In the case of the mobile phone and the tablet PC I honestly did not believe that they would find their way into every private home. I have learned to be more cautious with predictions. Do you consider the current regulations to be adequate? The prevailing impression is that the respective legal framework tends to lag behind the technical developments. The challenge I see is how to integrate autonomous aerial vehicles in traditional air traffic in general. Which professional purposes could drones usefully fulfil? These might include the maintenance of industrial installations or operational planning on the part of the emergency services. 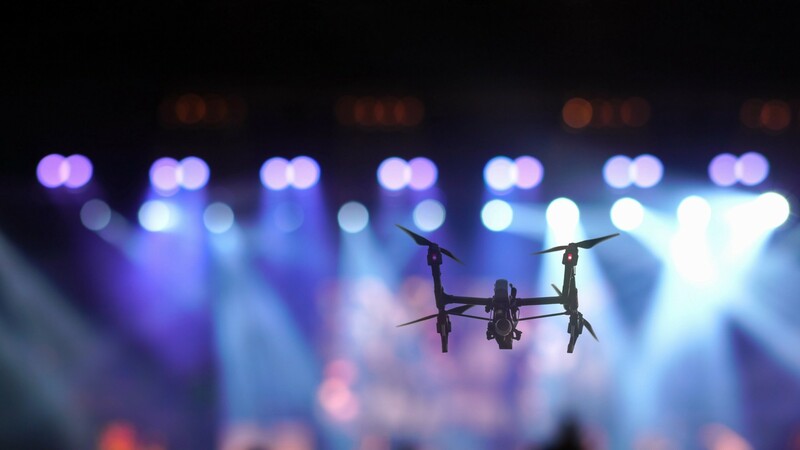 A very recent addition is the use in entertainment shows, where drones with light effects are deployed as an entertaining (environmentally friendly) alternative to fireworks. During the Super Bowl halftime interval Intel presented just such a show. Transport services by drones are also up and coming, for example ferrying blood or lab samples between hospitals. This kind of use makes sense in locations where the infrastructure on the ground is poorly developed or cannot be used due to environmental impacts such as heavy rainfall. This is no longer a fiction: This type of system is currently being operated in Rwanda. How realistic is the notion that private parcels might be delivered by drone in the future? Once the regulations have been set out accordingly, firms will start to offer this service. Technically, there has been a lot of progress: Drones can start up autonomously, they can reach a target, and they can land. Nonetheless, in reality, numerous difficulties still need to be resolved: Thunderstorms and strong winds, for instance, represent a huge problem. Maybe we can compare the current status with that of the automobile about 100 years ago. The basic technology works, but we still have far to go before it can be described as an advanced technology. What contributions have you and your colleagues made to the development of drones over the past ten years? Our very first research project involved getting drones to fly across an area and take photos from the air, which would subsequently be stitched together to form an overall picture. The image stitching and the wireless communication presented a big challenge. To achieve the best possible results, we collaborated with the emergency forces and the fire service, who also went on to test the technology. Today, this works pretty well. Next, we worked on the coordination between the drones, i.e. we explored the idea that drones - much like a flock of birds in nature - should be able to fly in a self-organised manner and without central pre-programming. There is still a lot of active research in this area, but it has not yet produced a marketable product. Most recently, camera-based navigation entered the scene. Here, a drone will observe its surroundings and use this information for orientation purposes. You have offered many positive examples of how to use drones. However, it cannot be ignored that drones also have military applications. How do you distance yourself from this aspect? I once received an informal inquiry from a US customer with links to the military, which we declined. In any case, I suspect that military research in this area is already miles ahead of the civil scientific world. The military is involved in numerous developments that we are not even aware of. After all, they do not publish their results. Generally speaking, much good can be done with drones, but they can also be used to kill. Military drones usually tend to be very large aerial vehicles, which cannot really be compared with our small quadcopters. But quadcopters, too, can cause problems: they can irritate the neighbour who is enjoying his garden, they can be used to spy on people, and they can introduce a significant level of risk in the case of large-scale events. We need regulations to address these aspects, and technology can do its part as well. Geoblocking, for instance, can be used to prevent drones from lifting off in the vicinity of a stadium. What are the particular challenges in drone research? First of all, the setting is rather complex: It is not possible to casually experiment with new algorithms once the drone is airborne. If a problem occurs, the drone might simply drop from the sky, or crash into someone or something. This makes things far more complicated for us than for those who work with ground-level robots. And secondly, the topic of swarm intelligence still features many sticking points, which need to be resolved: These include the ability of groups of drones to adapt smoothly to changes in the environment. Christian Bettstetter is professor and head of the Institute of Networked and Embedded Systems. He is also founding scientific director of Lakeside Labs GmbH. He has published his research work on wireless communications technology and autonomous and self-organizing systems in more than 140 scientific articles. 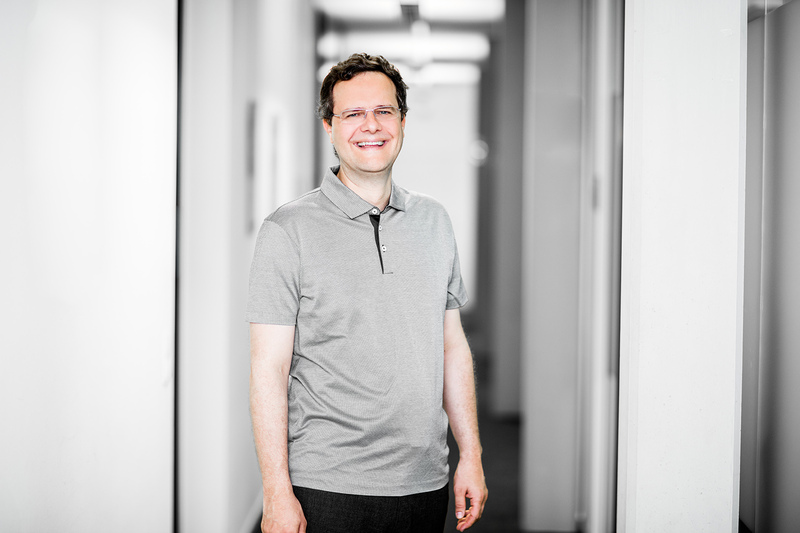 Christian Bettstetter is a member of the core faculty of the Karl Popper Doktorats- und Wissenschaftskolleg in the field of “Networked Autonomous Aerial Vehicles” at the University of Klagenfurt. This article was originally published in the magazine “Ad Astra” in German, then translated into English. Posted here with kind permission. Feature photo by THANANIT (Fotolia). Portrait by D. Waschnig. “Drones are here to stay”. Ad astra (@romymueller) interviewed me on the occasion of 10y of drone research at @alpenadriauni.